Everything Is Gorgeous... That's what you will say the day of your wedding! 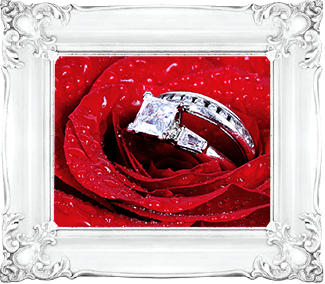 Dream Palace will make your special day a memory that you can cherish forever! Our delicious cuisine and friendly staff will have guests leaving with a smile. Our wedding specialists will assist you with every detail, from intimate gatherings to the grandest celebrations. We will work with you throughout the entire process. We will help you with an event timeline so that your wedding runs smoothly and stress-free. 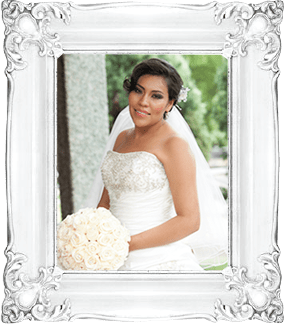 We are here to make your wedding day absolutely perfect! The food at the dream palace was amazing. All of my guests were expecting your average banquet hall food. To everyone's surprise it was great. The service was excellent abs everything went off without a hitch. Dream Palace was the ideal place for my wedding reception. Not only was it literally less than a one minute drive from the church I was married at, but also many things were included that were not at any other venue I visited (chair covers and ribbons, centerpieces, etc). We did the family style option so that there were two entree choices (we picked the fried chicken and pork tenderloin). I only heard great things about the food. We opted to have only wine and beer at the reception, and Dream Palace accommodated us by getting us the specific wine and beer we wanted (as long as their vendor supplied it). Dream Palace also let us come set up anything we needed the day before the wedding, so I could make sure everything was perfect. The hall was immaculate and the staff was very personable and hospitable. The food was delicious! If I didn't know any better, I would have thought it was homemade. If I had to do this all over again, I would do at the Dream Palace Banquet Hall. It is truly a hidden suburban gem. Our South Chicago location is convenient to Lynwood, Lansing, Calumet City, Chicago Heights, Blue Island, Homewood, Flossmoor, Park Forest, Crete, Beecher, Monee, East Side, Hegewisch, South suburbs of Chicago, Illinois and Munster, Dyer, St. John, Schererville, Hammond, and Highland, Indiana.